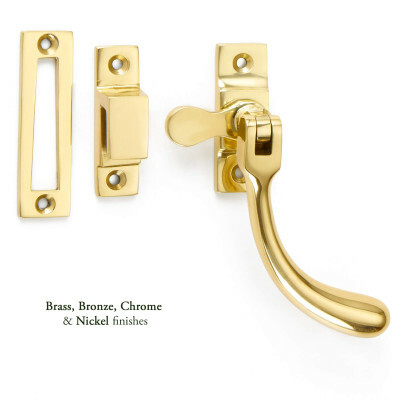 A beautiful Bulb End Casement Fastener that has a simple, elegant design. 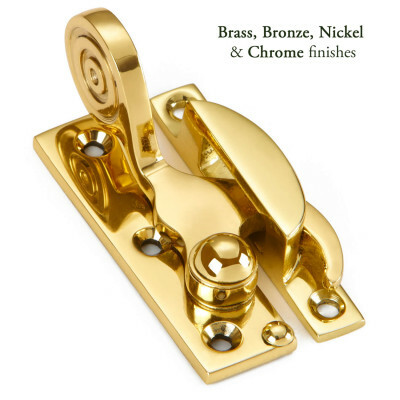 Shown here in Polished Brass, this casement fastener is available in a wide range of finishes making it suitable for all rooms in the house. The simple design means that it will look equally as good in period homes or contemporary properties. 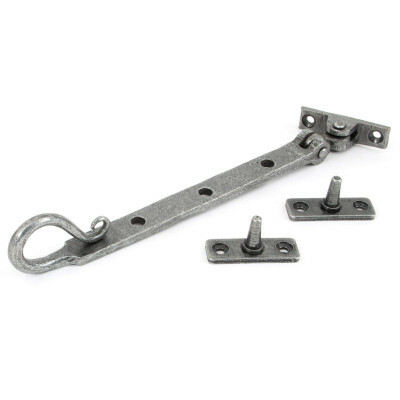 This versatile fastener can be used on both Right and Left Handed windows as the handle pivots over on a central pin. You can choose between a 'Mortice Plate' for regular casement windows that have a central mullion, or a 'Hook Plate' for flush fitting windows. Both styles are also available 'Locking' or 'Non-Locking'. 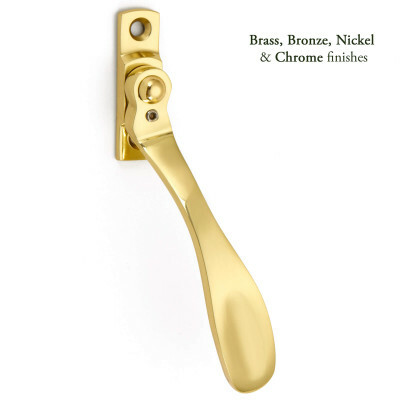 There are also matching Bulb End Casement Stays in a variety of sizes and also locking or non-locking.